January 2012: Tips, eNews, and More! Thank you to everyone who offered us advice regarding improving the experience at our office. Many of your suggestions are being incorporated into our office for the New Year. Congratulations to our 2011 survey winner Fran Bruno! Please contact our office to claim your prize. 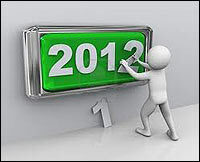 If ending a relationship with tobacco is on your list of things to do in 2012, now is a great time to start. You can find helpful advice on how to quit and more about National Non-Smoking Week here. Remember, in addition to your lungs and heart, tobacco use stains your teeth, damages your mouth's soft tissues and increases your chance of developing oral cancer. If quitting is proving more difficult than you anticipated, we may be able to help. Is Your Dental Insurance Based on the Calendar Year? If you have any outstanding dental work to be completed or are maintaining an oral health and hygiene routine that corresponds to your dental benefits, now is the time to come in and see us. You can request an appointment here. All you need to do to be entered into our monthly draw is to LIKE our FACEBOOK, Add us on LINKEDIN and/or follow us on TWITTER and you will be entered in a draw to win a $50 Visa Gift Card! The Winner to be featured on the February 2012 Newsletter, Facebook and Twitter... Enter Today!!!! December Social Networking Contest Winner! Congratulations Sonia! Please contact our office to claim your prize. The effects of smoking have been the focus of health campaigns for many years now. Campaigns often focus on the lung and heart problems linked to smoking. Lawrence West Dental would like to offer you oral health related reasons to turn your back on tobacco. Why does your dentist want to schedule another appointment with you so soon - even if today's oral examination was perfect? Regular dental visits are essential to maintaining healthy teeth and gums. For maximum benefit, a good home care regimen must be supplemented with an examination at least every six months. Depending on the status of your oral health, your dentist may recommend more frequent visits. Several months after cleaning, teeth can have plaque build-up as well as stains from food, beverages, tobacco, etc. Over time, plaque build-up can harden into tartar (or calculus) formation.